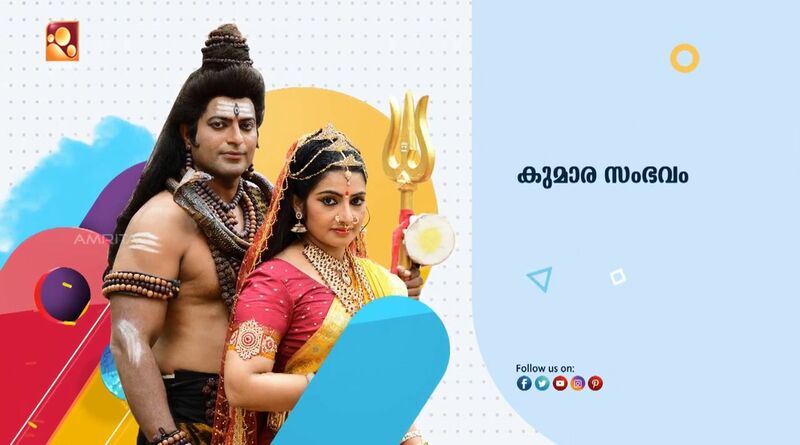 Leading Malayalam gec Amrita TV Planning a new devotional serial, Kumara Sambhavam. It’s currently scheduled 250 episodes and launching on 16th April 2018. Amrita TV launching some new shows and serials from today to fill prime time slot. The serial is based on Kalidasa’s epic poem ‘Kumarasambhavam.” But the story deviates from this poem by bringing in some stories glorifying the deity. Incorporates some very important sequences of Lord Subramanya, his meeting with Avvayyar , quarrel with Ganapathi, etc. The film was released on December 25, 1969. Himavan and his wife are worried about the marriage of their daughter Parvathi who is firm on her decision to marry none other than Lord Siva. Lord Siva had vowed never to marry and was meditating following the death of his consort Sati. This was because of Siva’s enmity with Sati’s father Daksha. Sati is reborn as Parvathi with a mission to give birth to Siva’s son who would kill the powerful demon Tharakasura who was now in control of heaven and the gods. Narada advises Parvathi to worship Lord Siva and win his love. By her penance and determined efforts Parvathi manages to win the love of Siva. Their marriage takes place. Parvathi gives birth to Subramanya who grows up and duly kills Tharakasura.